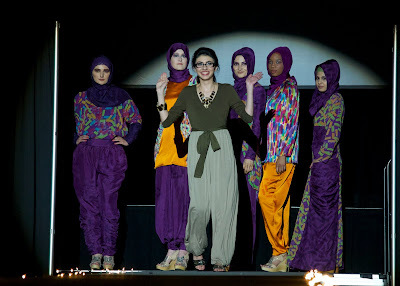 "Inspired by powerful Muslim-American women, I’ve created a collection that gives her the freedom to be modest and fashionable. The fabric prints are my interpretation of ikat fabric designs from the silk roads of Bukhara in Central Asia, where my family originates. Combining both inspirations, I have created innovative modest silhouettes with original fabric designs I have hand dyed using techniques such as hand painting, silk screening, stamping, and laser cut fabric to mimic the one-of-a-kind shapes of ikat designs. 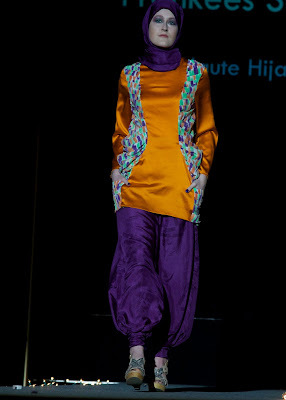 I was inspired by pleating to hide the body shape yet also give the garments shape at the same time. Pleats draped along the side of the garment hid the tight body shape, but gave it a graceful shape on its own." Frankees plans to expand on her collections and experience in the fashion world and create a clothing line in the near future! 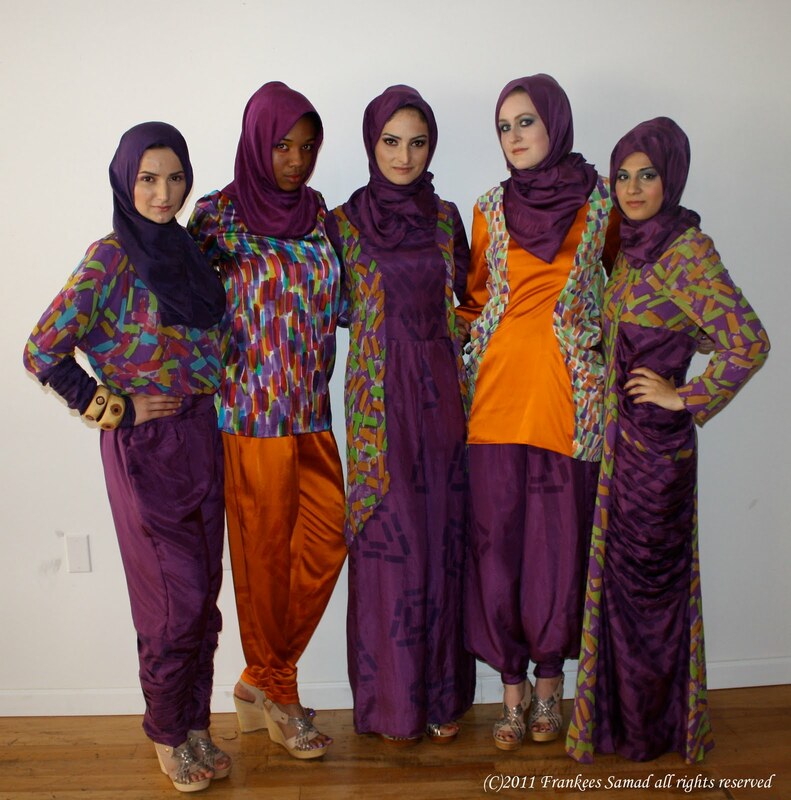 Check out these photos from her fashion show earlier this year, and you can find more information on the Frankees Samad Designs Facebook page. Aaaaah! The 80s! The 80s! The 80s have returned! I love the colours. The pants are totally MC Hammer, though. Totally.